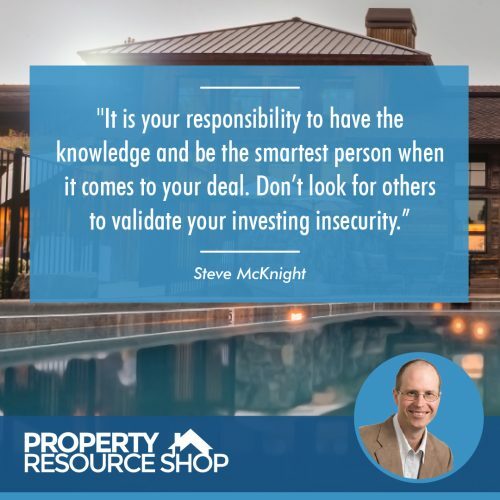 Steve McKnight, one of Australia’s most accomplished property investors, has learned a lot from acquiring more than 500 properties. 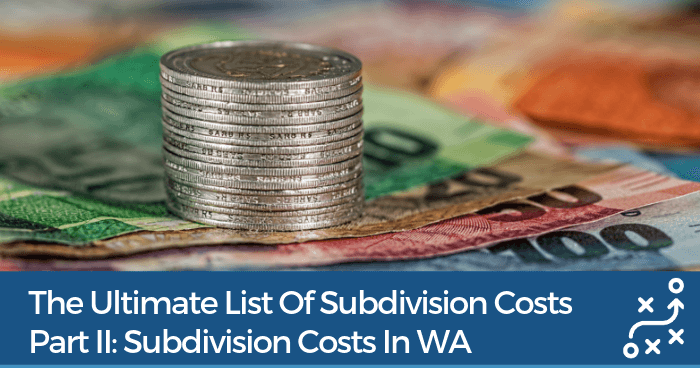 After building an impressive property investment portfolio beginning with a $44,000, three-bedroom house in Ballarat, Victoria, McKnight decided to share his knowledge with other property investors. Based on his simple strategy of acquiring positive cash flow properties, he has penned three No. 1 national bestselling books, built a Web following of 130,000 members and regularly offers advice to live audiences at home and abroad. Steve McKnight’s Mistake No. 1: Trying to change and stay the same while doing it. 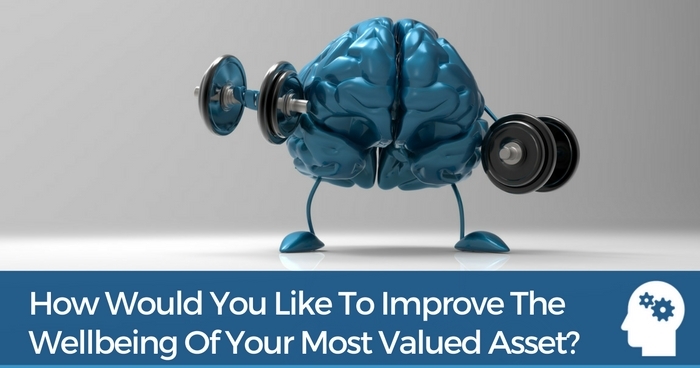 McKnight said that one of the main things that holds people back from becoming a successful property investor can be summed up in three letters: J-O-B. 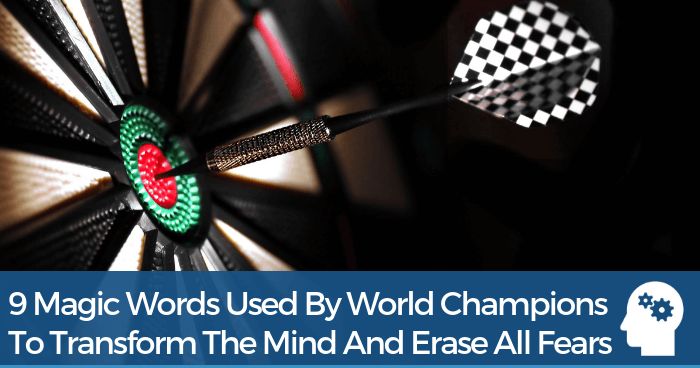 The result, he said, is that they end up frustrated while deals pass them by. 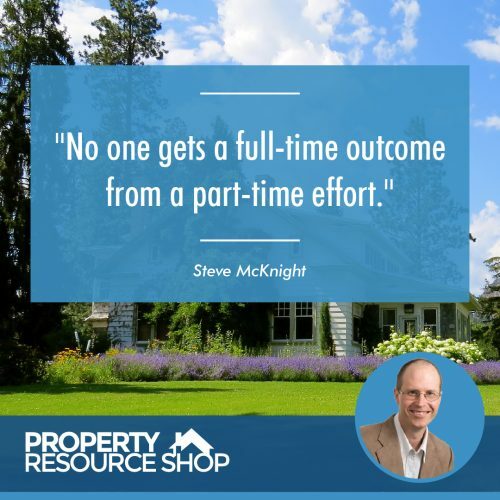 When it comes to property investing, McKnight said that no one gets a full-time outcome from a part-time effort. In fact, being a toe-in-the-water investor can be the worst of both worlds because it provides enough risk to make investing painful, but not enough to reap the full potential benefits. Imagine that you have a glass of water that is almost full. If you continue to pour more and more water in, it will eventually overflow. In order to be able to put more water in, you first have to take some water out, McKnight said. 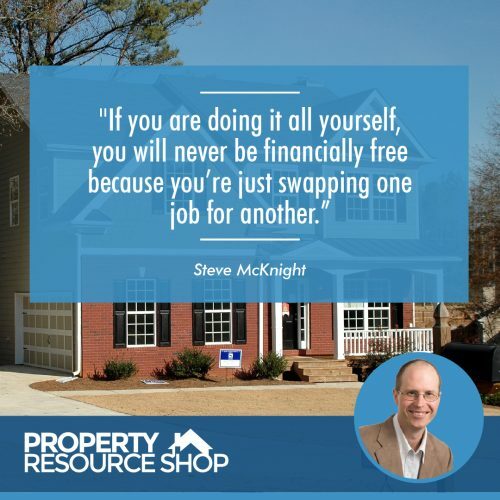 Following that principle, McKnight said that you have to take some income-earning ability from your full-time job in order to find good real estate deals. Steve McKnight’s Mistake No. 2: Being Han Solo rather than Luke Skywalker. If you’ve ever seen Star Wars, you know that Han Solo thought he could do it all by himself. Luke Skywalker, on the other hand, was a team player. McKnight said that real estate is a “we” game, not a “me” game—and you shouldn’t do it all yourself. 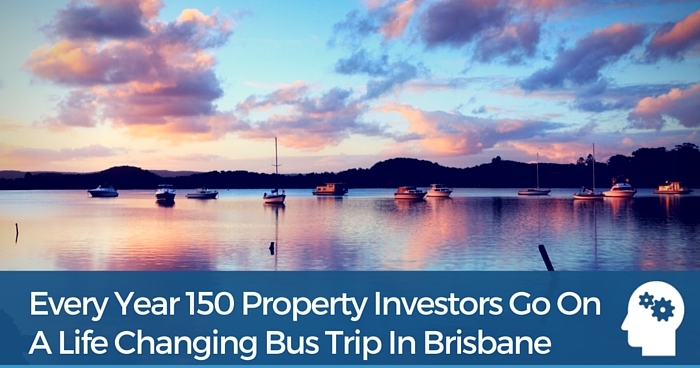 Property investors need a team. McKnight said that the smartest investors he knows don’t jump online and look for deals themselves. 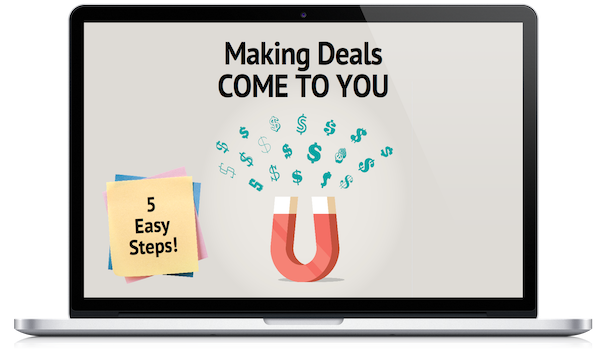 Instead, he said, they create a deal profile, hand it to their real estate agent, and ask them to find the deals. Think about the glass of water analogy from Mistake No. 1. When people try to do too much, they become less effective—and eventually, their glass will overflow. Steve McKnight’s Mistake No. 3: Not obeying the rules. If the No. 1 rule of property investing is that you must make money, you have to actually invest in properties that make money. Sounds simple, right? However, some investors like to see how flexible the rules really are, McKnight said, or might not know the rules to begin with. Smart investors should do whatever they can to learn and obey the rules and avoid making it up as they go along, McKnight said. Imagine if there were no more medical schools and doctors stopped training other doctors. Without the benefit of medical school, the only way that doctors would be able to learn would be by accidentally killing patients. 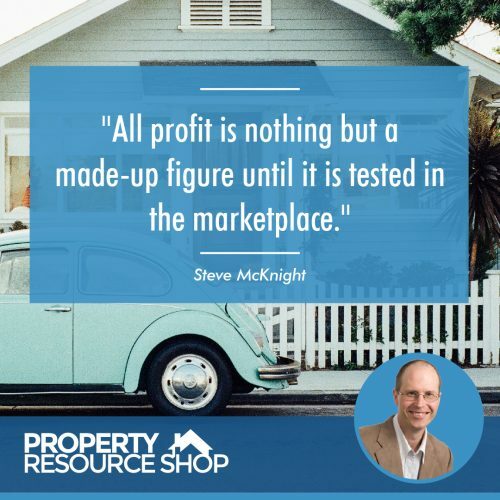 The same principles apply to property investing, McKnight said. 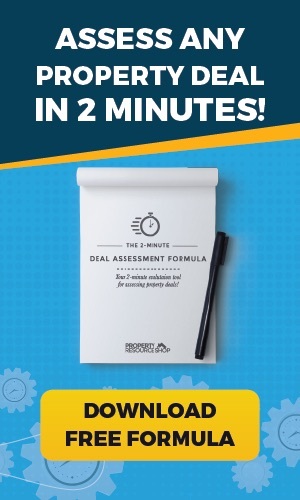 Instead of paying $30 to take a seminar that will teach you the rules, people will try to figure it out as they go along and lose thousands of dollars in the process. Steve McKnight’s Mistake No. 4: Reinventing the wheel. According to McKnight, there are two finites in life: death (also referred to as “time”) and health. There is no point in having lots of time if you don’t have your health, so health has to be the most important. But after health comes time, and unfortunately, one of the easiest ways to waste time is to reinvent the wheel, McKnight said. 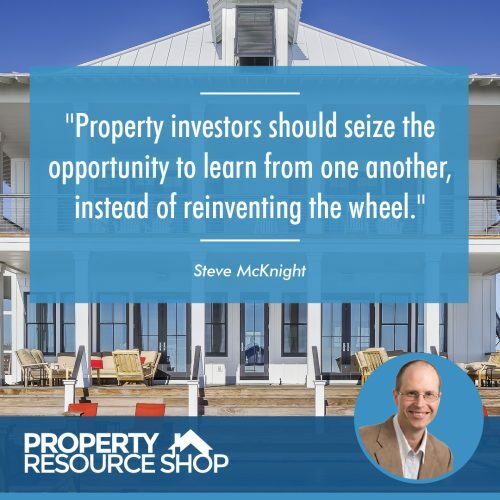 Instead of trying to figure things out for themselves, McKnight said that property investors should seize the opportunity to learn from one another. Learning from your peers can help to keep you sharp and prevent you from wasting your valuable time. Chances are that someone has already been where you are and can offer some guidance. Steve McKnight’s Mistake No. 5: Time misallocation. McKnight said that he encounters people all the time who have a million excuses about why they aren’t looking for property. And, unfortunately for them, the deal of a lifetime could be right around the corner and they could be missing it due to a job or other priorities, he said. Time misallocation, he said, is a failure to invest in your future and investing in your past and present, instead. 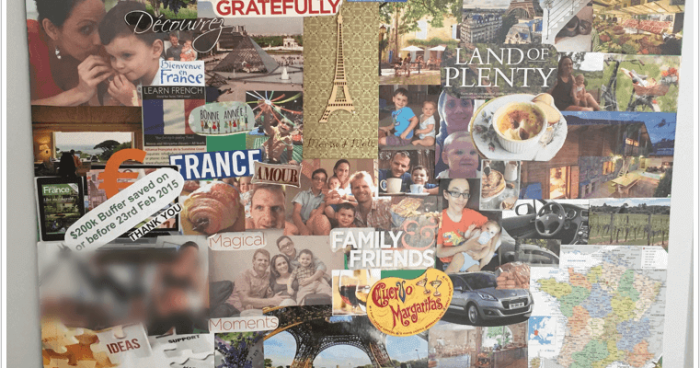 And, making a better future for yourself won’t just happen—you have to work for it, he said. Action, McKnight said, leads to reaction, which leads to action, which leads to reaction, and so on—and at some point, you develop momentum. Although momentum doesn’t make things easier per se, things will begin to require less effort, he said. 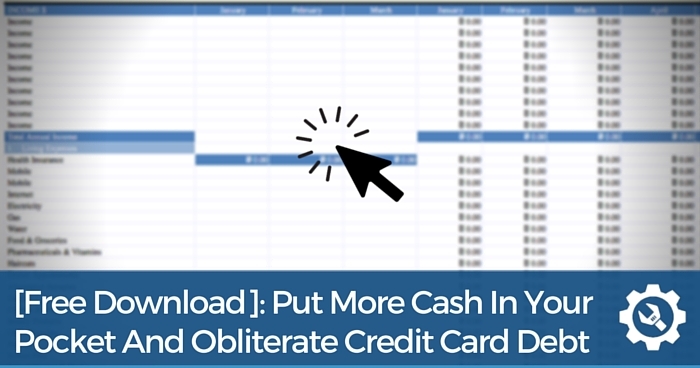 Ready To Put This Advice To Action? 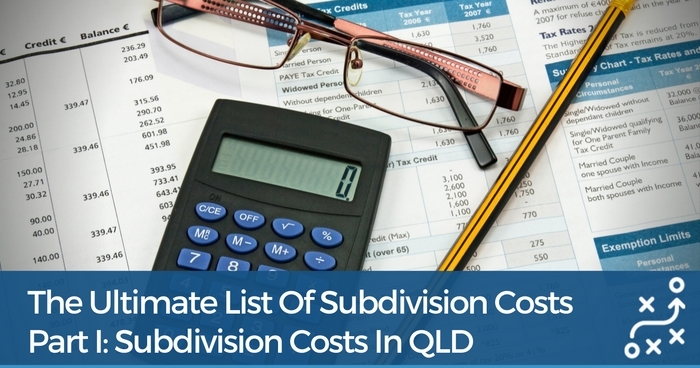 Steal the exact same system I’ve used to make $50K on my first Subdivision project while still holding a postie job, and then went on to create a SIX FIGURE INCOME in just 18 months! Steve McKnight’s Mistake No. 6: Looking for the perfect, no-risk, instant profit, sure-thing deal. 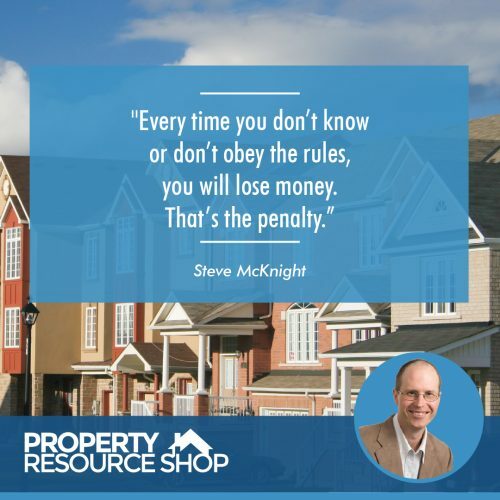 Property investing has inherent risks, which means that there is a chance that you might lose money, McKnight said. 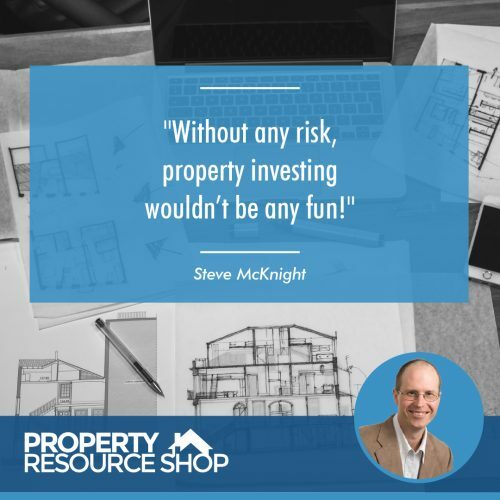 But without risk, he said, property investing wouldn’t be any fun, the chance for reward wouldn’t be as high, and more people would do it. I don’t look for deals where I can just make the most profit, McKnight said. As he weighs these three factors, McKnight said that certain deals or strategies get eliminated. Steve McKnight’s Mistake No. 7: Failing to recognize the difference between fact and opinion. When investors lack confidence, they often go shopping for opinions from others who they perceive to be smarter or more knowledgeable, McKnight said. Or, an investor will ask their parents, who may talk them out of (or into) a deal based on limited or incorrect information. “You will end up confused by conflicting opinions and will risk missing out because you will be afraid to do anything,” he said. Steve McKnight’s Mistake No. 8: Not investing for a finite period of time and a finite outcome. “Investments are not fairy tales that end with ‘happily ever after’,” McKnight said. Because investments are for a finite period of time with a finite outcome, investors should establish both before they buy so they can see the “signposts” along the way, he said. 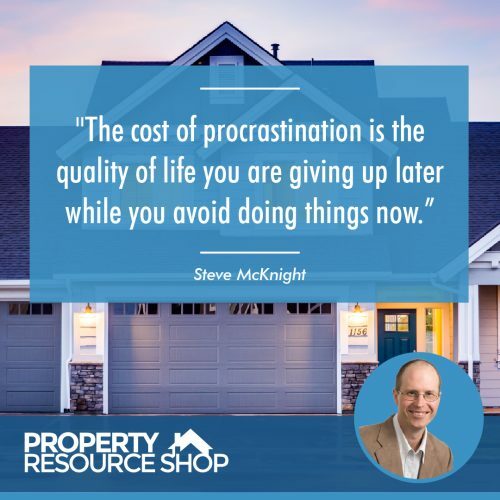 And, in order to know for sure how much money you are making, you will need to sell property when the finite period of time comes to a close, McKnight said. Until you sell, all profit is theoretical, or “unrealiszed profit,” which is nothing but a made-up figure until it is tested in the marketplace, he said. Steve McKnight’s Mistake No. 9: Procrastination. McKnight’s presentation, “Winning the Money Race,” discusses the quality of life you have between achieving your financial goal and dying. Some people have no quality of life because they live life too fast and have nothing left at the end. Other people pinch years early, and don’t get them back, he said. For example, if you sit for five years and don’t do anything, you don’t get those five years back at the end of your life, McKnight said. Procrastination is really the failure to appreciate the urgency of taking action, he said. Many young investors think that they have more time than they actually do, but the truth is that investing only gets harder as you get older. As you age, you have a reduced risk tolerance because you might not be able to make your money back—so, you tend to hold on to investments that you already have. Smart investors don’t fall into the trap of thinking that they have more time to do nothing than they actually do. Steve McKnight’s Mistake No. 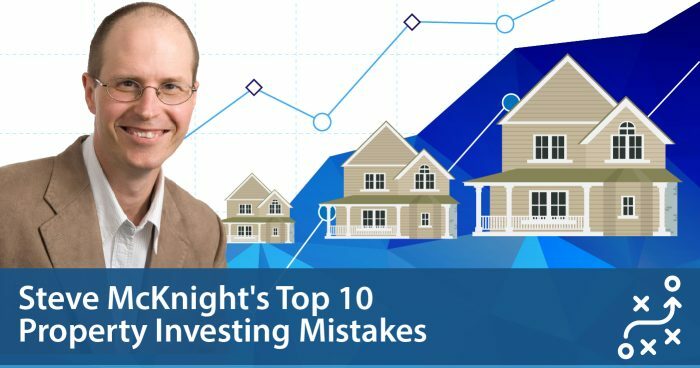 10: Not convincing family and friends to invest, too. Although McKnight believes that going to family and friends for validation will upset them and upset you, he said that it would be a shame to not convince them to invest. “When I let family and friends off the hook, they end up feeling regret that they can’t do what I do,” McKnight said. 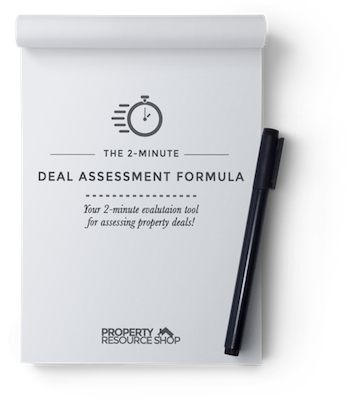 Ready To Kickstart Your Property Investing? Full time job prevents many people from investing actively ( depends on a job and personal circumstances of course). No job is even a bigger challenge because bills need to be paid, food and shelter need to be provided. Question is how to manage a no full time job situation and be able to invest. I personally couldn’t find a deal while working full time. 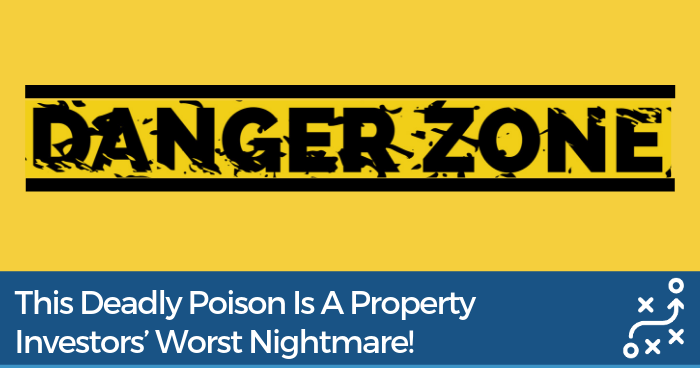 I did find a good property as soon as I quit my job, but my finances failed. No job – no loan servisability. What your advice would be ? Thank you.